Yeah yeah… you’ve heard it from Day 1 that you are to solicit referrals for easy business in real estate but are you doing this? Is it effective? How literally are you taking this concept? When you are a newly licensed agent, your “sphere of Influence” is absolutely the WORST source of business for you despite what every real estate new agent training program teaches! Of course you are going to have your core group of raving fans who will support you in every way possible but for the most part, you will not get business as a new agent from those who already know you! Think about it…. they know you relative to your former occupation and do not yet relate to you as a sharp agent who will protect their biggest investment! Additionally, they interact with you in one realm of your life and don’t necessarily want you to know all the ins & outs of their finances. After you have been in the business a while, then absolutely your sphere of influence and database of past clients is a fabulous source of business for you if you “work it” consistently and systematically. This article, however, is not about working your database. This article is more about the effective use of testimonials aka the “Oprah Effect.” When Oprah Winfrey’s show was on television daily, one of her regular shows was her “Favorite Things.” She would talk about (& give away) an item, book, etc. of a product or service that she had personally used and liked. As soon as Oprah declared an item as one of her “favorite things,” the sales of that item skyrocketed!!! If you think about, ANY celebrity endorsement of a good or service typically enhances the sale of that item! Take advantage of that phenomenon and start garnering and using endorsements of YOUR real estate services if you want to see your sales skyrocket! In general, people feel more comfortable about a person, product, restaurant, etc. if someone else says it’s good or recommends it – even if they don’t even know that 3rd party! For example, how many times have you gone out to eat and you ask the server what they recommend or like? How on earth do you know if they have similar tastes as you do? They could simply recommend the most expensive item on the menu! How many reviews do you read of hotels, restaurants, etc. before going there. What about moving to a new area and needing a beauty salon…. sometimes you’ll go up to a complete stranger and ask them who does their hair! 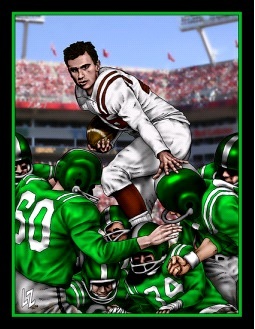 It is human nature to seek endorsement and approval from someone else prior to embarking on something new! Use this to your advantage! 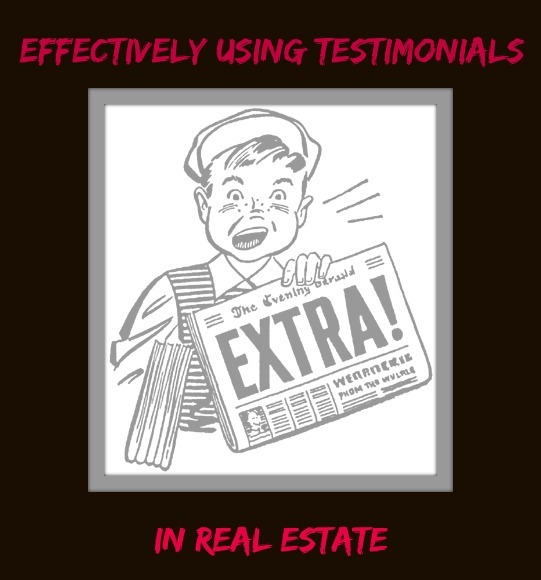 Every time you get a new client or customer, ask them to write a testimonial for you! If they are not sure what to say, then simply write your own testimonial and ask them to sign it if they agree! Then pepper ALL of your marketing and advertising with these comments (or excerpts of comments) proclaiming what an amazing agent you are! You will absolutely make your clients feel more comfortable and confident with you and will sign them to Listing Agreements & Buyer Brokerage Agreements quicker than without a 3rd party endorsement! Be willing to give a potential NEW client the name and number of a previous client. Include these written testimonial letters in your Pre-List packages and in your Buyer Consultation materials! Learn to create your OWN “Oprah Effect” to earn extra income this year! So what lessons can you learn from the entertainment award shows for your real estate business? Your real estate training should be replete with the many valuable lessons about the inner game of real estate! 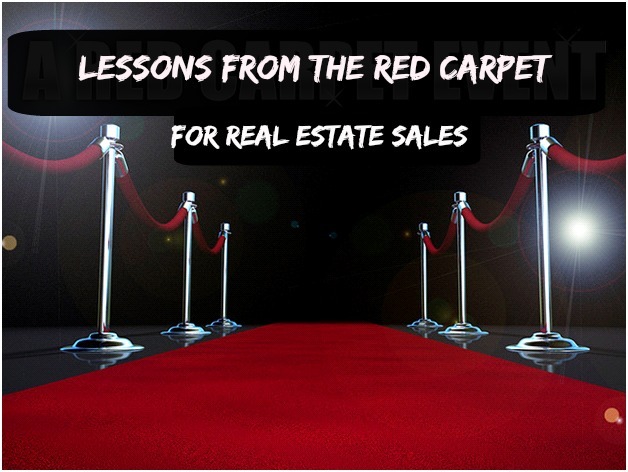 Ninety percent of your success in real estate sales begins with your mindset, hence the “inner game.” So what does this have to do with “the red carpet?!? !” … EVERYTHING! The first impression you make is vital to your success in your real estate sales business. That first impression should be polished, professional and pleasant. You do not have to wear a designer outfit, nor borrow jewels from Bulgari, nor be chauffeured to your appointments in a limousine but you certainly better carry yourself as if that is whom you are! You will never even have the opportunity to help a Seller or Buyer move forward with their real estate needs if you do not dazzle them from the start! People are desperately seeking leadership and confidence and competence. Take the initiative and be that principal for your prospects and you will turn them into clients and get paid for the value you bring. That first impression has more to do with your insides rather than your appearance! Your energy precedes you with everyone you meet regardless of the words you speak or the look on your face. It is the inner game of real estate where the deal is done! Don’t believe me? Think back to the last time you interacted with an animal, perhaps a dog or a horse, and that animal KNEW if you were friendly or scared or annoyed, right? Can’t you tell if that stranger in front of you or behind you in line is in a bad mood or not? Did you not catch that infectious laughter of a baby who does not even yet know how to speak? These mental performance skills are vital to your success in your career in real estate. 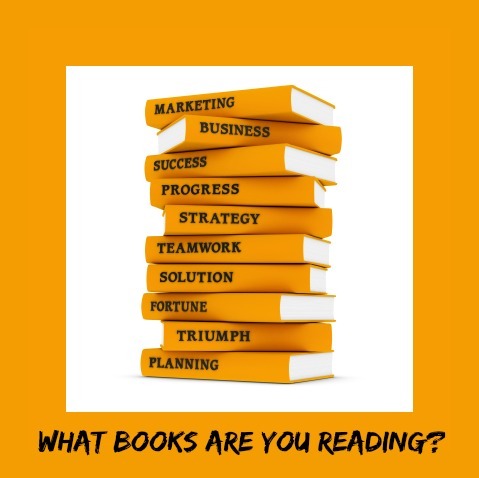 There are many motivational, informational and instructional books to read to enhance your real estate business. The thoughts you put into your mind greatly effect the actions you take which have direct impact on your business. There are many ways to directly guide your thoughts and your resulting happiness and interactions with others. Some of these ways to direct one’s thoughts and resulting behaviors include using affirmations, listening to music, watching positive movies, hanging out with loved ones, meditating and reading. Specifically to enhance your ideas about your real estate business, there are many iconic books to peruse. Super Bowl XLVIII will be played tonight, 2/1/15 between the Seattle Seahawks and the New England Patriots. You, the real estate agent, have the opportunity to create the Super Bowl experience for yourself everyday! These magical elements (minus “deflategate”) of the Super Bowl are within your grasp and can greatly enhance your productivity business! Go Falcons!!!! …. Well maybe NEXT Year! !